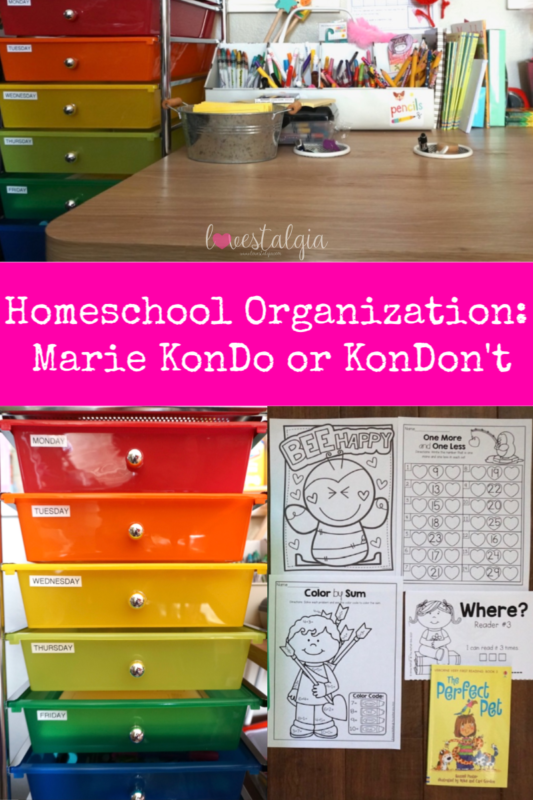 Home Homeschooling	Homeschool Organization: Marie KonDo or KonDon’t? It’s been a few months since I wrote up a post about our homeschool journey. The holidays were hectic, we had family stay with us, we got sick and you know– LIFE. I did a poll on Instagram Stories and many of you wanted to know about the curriculum we are using. I also wanted to share with you guys how we FINALLY organized our little homeschool space. To be completely honest, our homeschool space slowly became like the chair where your “not really dirty clothes” go. You know– we all have THAT CHAIR. Papers and books would get stacked up on top of each other and it was driving me crazy. But I had no one to blame but myself because I didn’t make the time to clean it. I have a lot of books and curriculum from when I used to teach first grade that I kept. I also would print out stuff but leave it in a pile so things would be on her table, our kitchen table and literally all over the place. There would be days when I just couldn’t find things easily and it would make me frustrated. Watching Marie Kondo on Netflix lit a fire in me to take action. It inspired me to “tidy up” and organize our space. I went to Michaels and bought two 10 drawer rolling art carts and a metal container for all her supplies. The table is from Target. You guys probably saw in my Instagram stories last week how I organized the drawers. Chelsea from Let’s Play School has been such a huge source of inspiration! She labeled her drawers day 1-5 and put curriculum in there. I liked the way she organized things by day so I decided to do the same except I labeled my drawers Monday-Friday. In each drawer, I put the pages, books, and whatever we are going to work on that day. 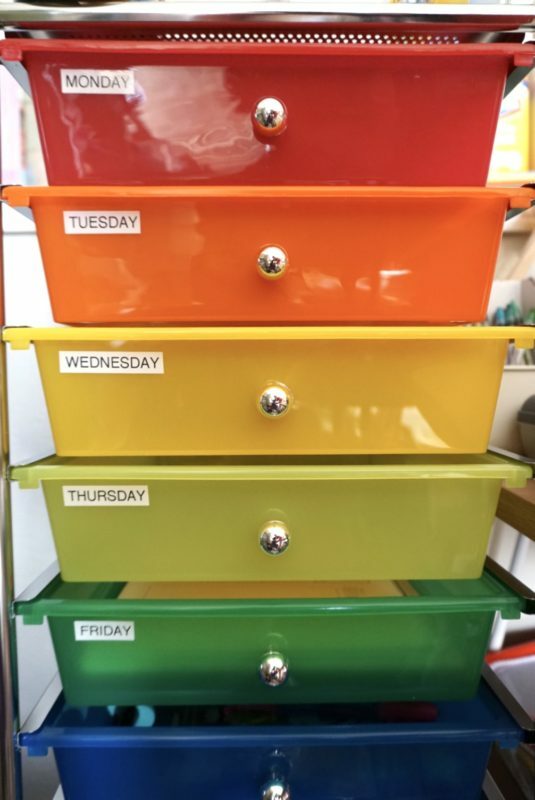 This has helped me tremendously because I just plan things out and organize the drawers on Sunday night and then we’re ready for the week. Chelsea puts a few math pages, a book to read, and some handwriting practice inside each drawer. I liked that idea so I did that too. The books that are too big for the drawers or where I can’t take out the pages are on top of the cart. I purchased Handwriting Without Tears on Amazon as well as a handwriting book (Level 2) from The Good & the Beautiful which is religious base. 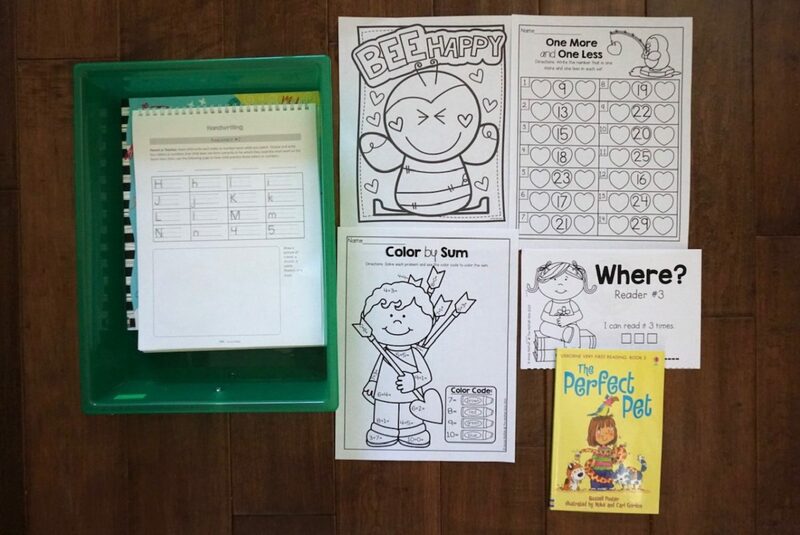 I also use bits and pieces of curriculum from The Kindergarten Mom. This is pretty thorough. It comes with enough work for 4 days a week for 36 weeks. It has a grammar component, sight words, blends, and writing. I also bought a few things from The Moffatt Girls on TpT. I really love her Monthly No Prep Packets for Kindergarten. The Emergent Readers Bundle– they’re little reading books with sight words and decodable words. Sight Words Fluency (Pyramid Sentences) Bundle– I haven’t printed these out yet but they are half sheets with sight words to build fluency. I’ll have to show you guys when we start to use them after I print them out and laminate them. We have a math workbook called Math Skills Grade 1– it seemed more appropriate for kindergarten so we have done many of the pages in it. The Kindergarten Mom’s Interactive Math Notebook was something I bought at the beginning of the year. We’ve used bits and pieces of it. It has 36 weeks worth of material. I’ve pulled pages to do here and there and didn’t do the notebook portion of it. We use the No Prep Pack (from above) for a lot of our math practice. I’ve also been teaching her to use the concepts from Touch Math to add. For Social Studies and Science, I picked up these books from the bookstore and we’ve enjoyed using them in addition to Ivy Kid Kits. As a Christian, I want my daughter to know about God. I would love for her to know God and believe in Him but that is a something she will have to decide for herself. But I am teaching her what I know about God and about Christianity. These are some of the resources I found. The Ology– teaches theology concepts. 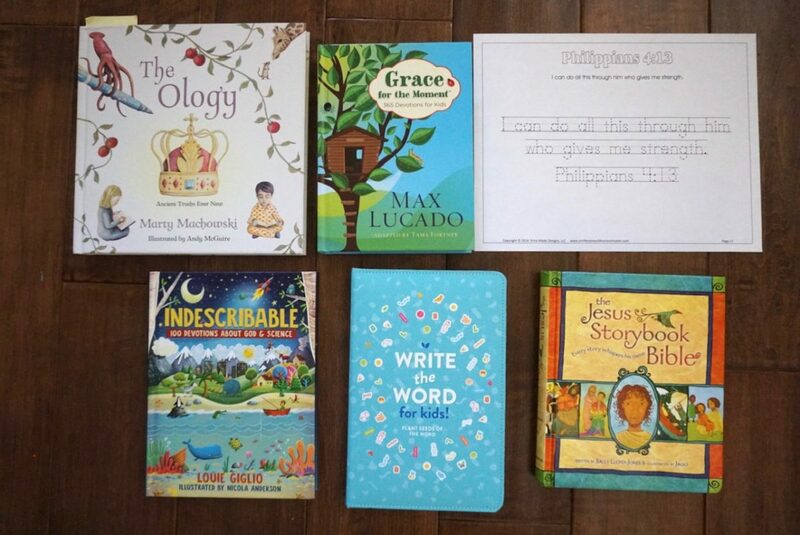 For younger kids, it’s really just exposing them to theology because it’s hard for me to understand some of it. Recently I connected with Jamie from Prairie Tale Travels. She makes the CUTEST activity boxes. 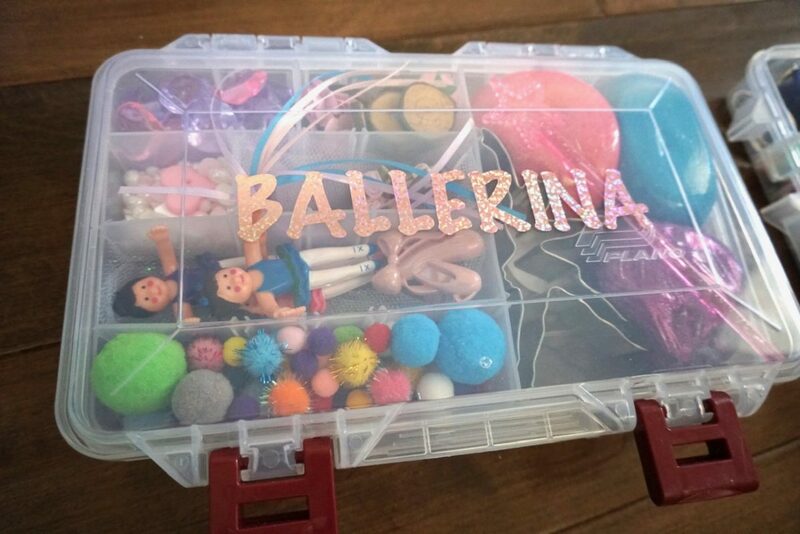 This ballerina one has homemade play dough and is ballet themed for hours of fun. She also sent us a bead box and A has been OBSESSED. She absolutely loves playing with them! Lauren at Kick Start Reading gave us a trial membership to use her website and it’s been a great supplement to practice reading! The lessons are paced at a nice speed. 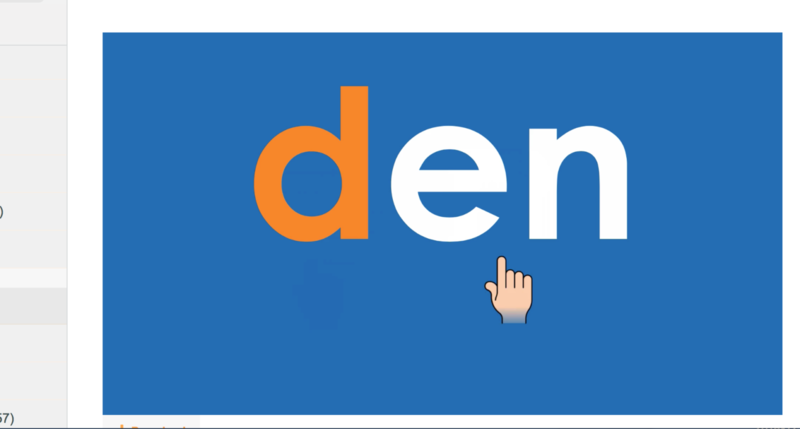 You can pause it if your child needs extra time to read the words or sounds. I love how the lessons are short, her voice is calm, and it gives your child another opportunity to learn and practice how to read! Make sure you check these ladies out! Also, I’ll try to keep you guys updated on the blog about homeschooling but it’s always best to check out Instagram stories or in the highlights section on Instagram to see what we’re up to daily. 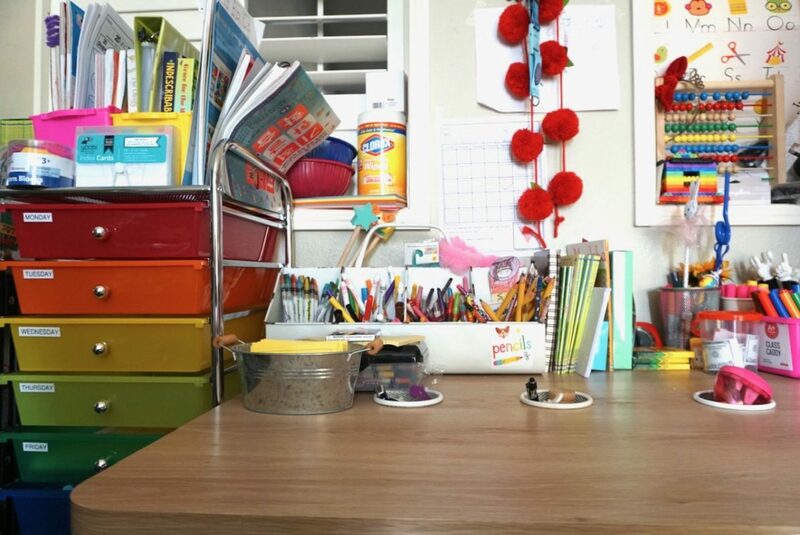 How do you organize your homeschooling area? Or for those that don’t homeschool, your homework area? Check out my post about homeschooling my kindergartner here.